Amedeo Guillet and Sebastian O’Kelly at the belvedere overlooking Asmara, Eritrea’s beautiful capital, March 2000. The city is remarkably unchanged since Italian times. We were staying at the Villa Roma, the Duke of Aosta’s residence when he was in Asmara, and then the residence of the Italian ambassador Antonio Bandini and his wife Consuelo. Old ascari veterans of the Second World War turn out to welcome the returning ‘commandante’ at the Catholic cemetary in Asmara. Two old soldiers embrace. It has never been hard to love Amedeo. 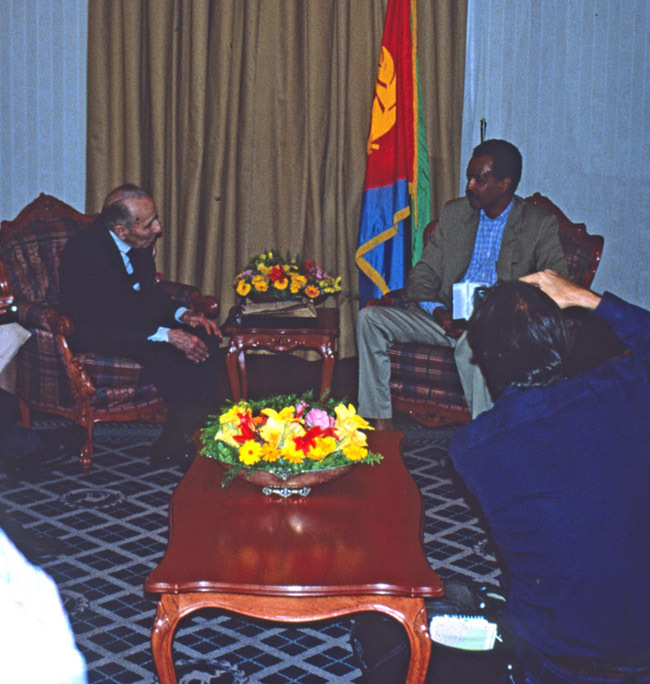 President Isaias Afwerki welcomes Amedeo to his country. The president’s palace was very familiar to Amedeo. It used to be the Italian army’s headquarters. The grander governor’s palace was bombed during Eritrea’s war, and is being restored. 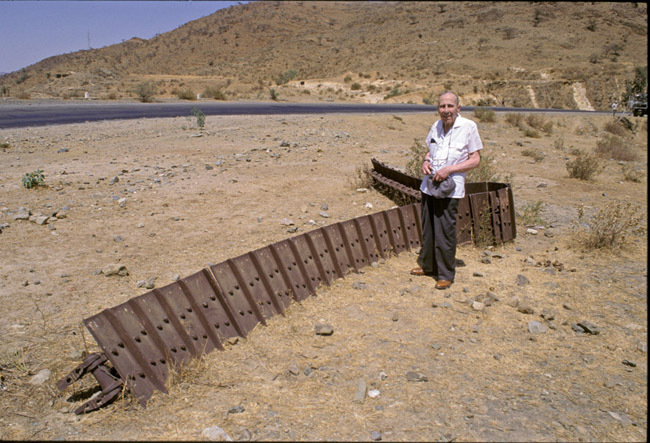 For 40 years Eritrea was a war zone and these are the remains of grisly encounter on the road between Keren and Asmara. It was remarkable how many Eritrean veterans had fought in exactly the same places as Amedeo, 60 years before. We found this tank track at Ad Teclesan, and for a while I hoped it was from one of the British vehicles Amedeo destroyed in 1941. In fact, it was a piece of Soviet hardware, blown to pieces by the EPLF. The miraculous baubub tree at Keren. When the British finally broke into the city, a group of fleeing Italians ran to safety in this tree. A British tank opened fire, making the hole, but none inside were hurt. On the left is the Eritrean writer Alemseged Tesfai and to the right of Amedeo is Rosangela Barone. A clearly moved Amedeo revisits the shanty town of Al-Katmia, outside Massaua. In the background is Tewolde Andu, the mayor of the city, who insisted on speaking fractured Italian he had learned from his father. Amedeo hid from the British in Al-Katmia for several months and worked bringing water from a well by mule into the city, as all the mains had been destroyed in the bombing. Sylvia Pankhurst, very oddly, blamed Amedeo for blowing up the old Italian munitions dump, killing many people and doing (a very improbable) £1 million of damage. 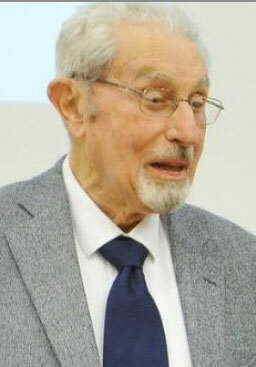 In fact, the explosion, which Amedeo reckoned was spontaneous as the explosives had been piled up and left in the sun, nearly killed him and his congenial neighbours in Al-Katmia. Don Quixote returns exhausted to Rome … where Fiumicino promptly loses the suitcases.